The top pizza franchise businesses are some of the most popular brands around. There are also many franchise for veterans opportunities in this niche as well. If you are thinking about investing in a pizza franchise, you have a variety of companies to choose from. In this post, we will focus on the top pizza franchises at the cheap and premium price points to help you get a better idea of what would work for you. In a more healthy and wholesome food conscious world, the craving for an occasional slice of pizza seems to have not declined at all. Indeed, the overall food market has been not very impressive nationally, with competition from foreign companies, trend of health concerns in food chains and overall rising prices for ingredients. Despite all of these challenges, pizza franchise chains still remain one of the most profitable ventures according to business owners. Statistically speaking, there is no better business to open than a pizza franchise. You will have much better success starting a pizza franchise than you would attempting to start an online store in a crowded ecommerce industry. Why? Studies show that at least 93% of Americans eat pizza at least once a month. That means that there will be no shortage of customers looking to frequent your pizza franchise business, should you choose to open a pizza franchise location. In addition, even those Americans ordering pizza delivery just once a month are likely to order more than just a single pizza pie when they do. As long as you make good pizza, offer quick delivery and practice good business management, you are sure to succeed by opening a pizza franchise. The statistics don’t lie. Smart franchise owners want to invest in companies that are continuously innovating and improving. Keeping up with the competition, the top pizza franchise companies in the industry have evolved to serve their customers better, introducing newer ordering methods, menu options and overall, more health ingredients. Certainly, the top pizza franchises are on a mission to provide the best services for their customers. On the franchise company’s end, they would like to compete to win market share. Quite understandably, the companies are offering lucrative opportunities for potential franchise owners to beat their competition. So, it could be a very good time to break into the industry. Here are the two top pizza franchises we spoke about above that could be the best business to start for an entrepreneur. 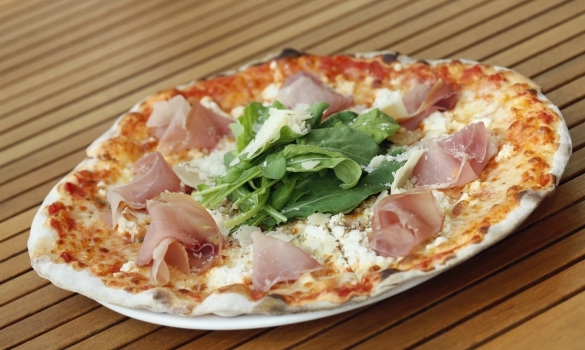 Red Brick pizza franchise has been marrying tradition with modernity in the industry. Their innovative business model is built upon a solid observation of the demand for brick oven pizzas. The company looks after its franchise owners from day one, sourcing out real estate sites to providing extensive training of employees. They also keep an eye on the prevailing market trends, pitching in with newer product ideas and marketing ideas to keep things exciting. Red Brick is a top pizza franchise if want to provide traditionally baked pizzas, with a hint of modernity, to customers. Popularly ranked among top pizza franchises, Little Caesars is easily one of the most recognized brands globally compared to Cicis Pizza. Coming into existence in 1959, the company has been one of the most preferred pizza franchises in the market. They offer fresh ingredients with several options to cater to their large customer base. For franchise owners, the company ensures high revenue returns by offering intensive, on going training support along with architectural and design ideas to get the business off the ground. Additionally, they reinvest to build their brand strength by supporting local communities and giving back. Undoubtedly, buying a franchise license with Little Caesars might just be the best decision you could make. This fast-growing franchise made its start in Athens, GA in 2008. It is now grown to 63 stores with locations all over the US. Famous for the Peach Prosciutto Pizza, Your Pie has embraced the fast-casual pizza movement with brick ovens in each location and an assembly line system for creating your own pie. They put employees first, with their mission statement being “to be a globally admired brand by creating a culture that improves the lives of the Your Pie Family.” They also offer a program to franchisees called Your Pie University that acts as a training and support system for new stores. In addition to the two top pizza franchise opportunities listed above, there is now a new market for so-called “fast casual” pizza places. This newer fast casual market is defined by its quality ingredients being put together for fresh, made to order food. Pizza franchises are the newest members of this fast casual market, and experts expert at least 2,000 more of these variety to be popping up over the next five years. Early on, these will be cheap franchises will they are just getting started. If you want to get into an incredibly lucrative market before it becomes flooded, a fast casual pizza franchise is the absolute perfect opportunity. The cost of pizza to consumers matters in a franchise business. In a highly competitive market, you want to make sure that you can price your products reasonably compared to the other competition. For a cheese pizza chain, the price per pie can cost anywhere from $6.99 to $14.99. This would make a huge difference to your bottom line. Secondly, most franchises have a significant startup cost. You should pay attention to the price of the franchise itself as well as the prices for the pizzas. This could help you determine the best pizza franchise for you. There are quite a few others that offer brilliant pizza franchise options. However, these are the top two pizza franchises for their niche in the market. Since this industry shows no signs of slowing down fast, it might be time to get your slice of the pizza franchise business. Obviously, you would want to take the chance on a pizza franchise while the oven is still hot.